Only 4% of all U.S. single-family home sales in the first quarter were flips – defined as sold for a second time within a 12-month period. 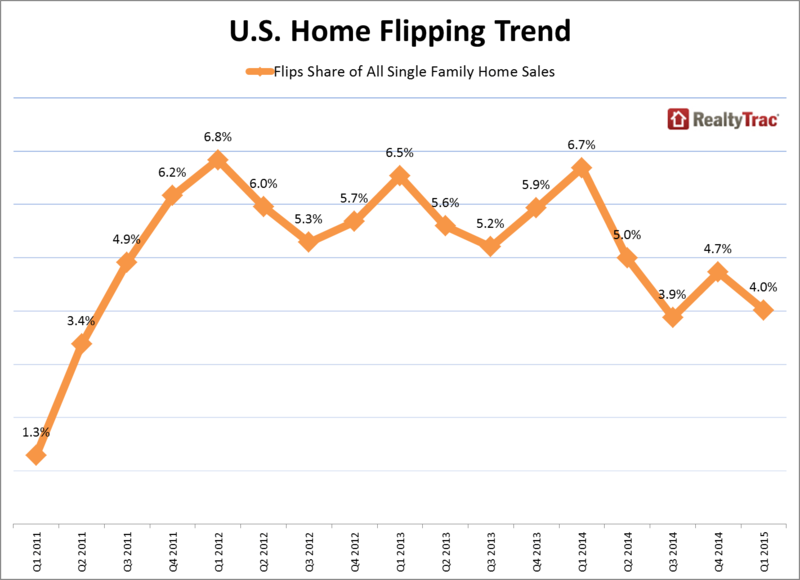 According to RealtyTrac’s first quarter 2015 U.S. Home Flipping Report, this was the lowest number of homes flipped since the second quarter of 2011, when it was just 3.4%. The metro Phoenix-Mesa-Scottsdale area was not in the top 20 of cities with the most flips, which shows the stability of our residential market.